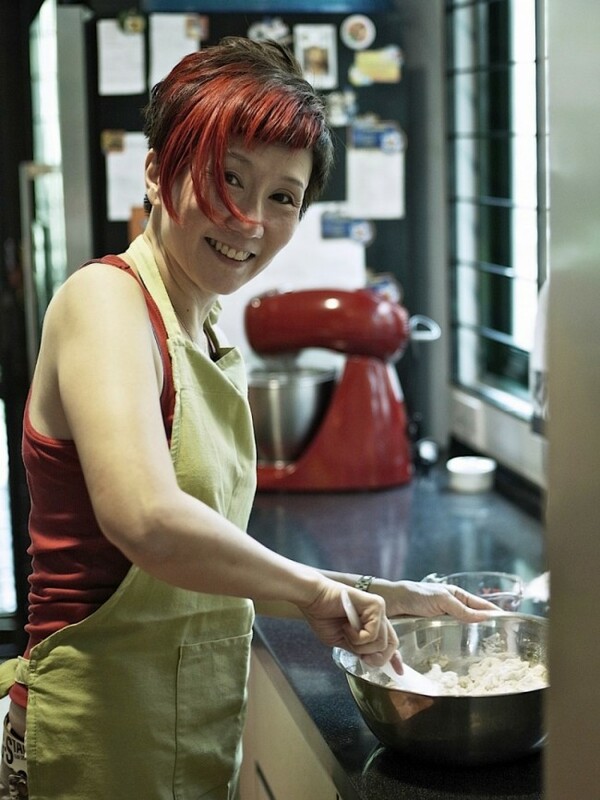 My name is Celina Tan …daughter, sister, wife, mother, homecook, recipe developer and the host for many house parties. I also cook for small parties and office events, conduct cooking demonstrations and bread making classes. My first real experience in the kitchen was in school during home economics class, that was what they called it then! It was a class I felt comfortable with and really enjoyed, but did not pursue. Instead, I was a banker for 25 years, cooking every now and then for family and friends, my willing guineapigs. I love to cook!! …. and there is much to learn. I survived working closely with the Hubs for 4 years and we’re still together! It must be true love! We enjoy a good party! not just being at a party but planning and organizing it, cooking, mingling, eating, drinking…. Family is my number 1. Spending time together and with each others’ friends is important. There is always food involved. Time is precious and finite! Don’t waste it on people we don’t appreciate or things we don’t like to do. 50’s is my new 30’s….truly! And with these revelations, I have started the IntimateSuppers blog. It will be about entertaining at home and how this can be fun! It will be more than a collection of my favourite recipes. I will also write about menu and event planning, tablescapes, cocktails and mocktails, vendor information, and all things to do with making a party enjoyable not only for the guests but also for the host. With some simple planning and preparation, dinner parties can be easy to organize and oh-so-much-fun!